Customer: "I'll take all the Ranch dressing you got. 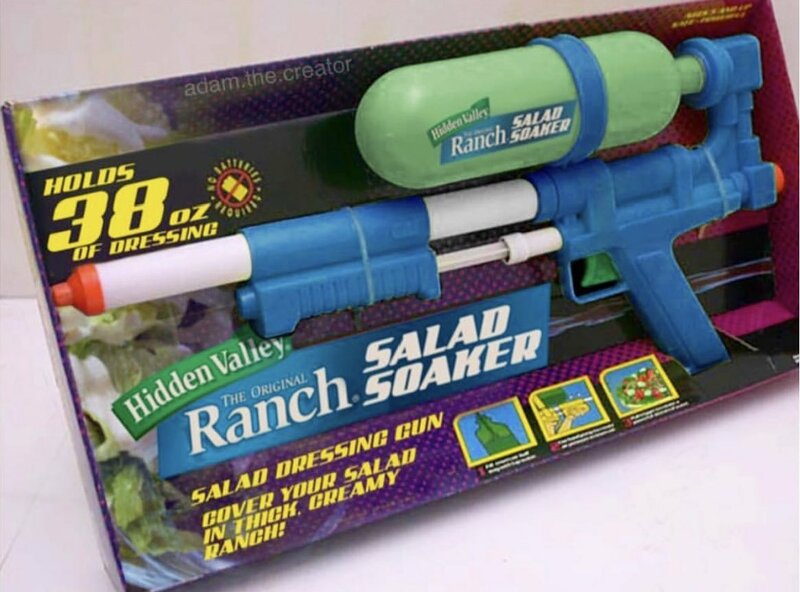 Waiter: “Would a Salad Soaker gun be good enough, Sir? It works with every salad dressing we offer”. Customer: “Certainly. That would be wonderful, thank you”.